The survival of Assad may not be an indispensable contending factor for parties to the conflict. 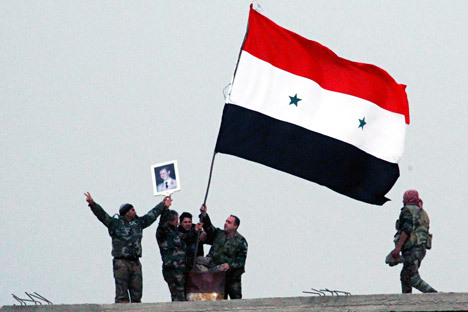 What is more important is the likely situation after the ouster of Assad. Despite Russian Foreign Minister Sergey Lavrov proposing the 'Putin Plan' earlier this week to his US and Saudi counterparts to evolve a coalition of forces to unitedly fight the ISIS, Washington's announcement of air strikes in support of Syrian rebels has complicated matters, making prospects for a solution further recede. A new dimension was recently added to the Syrian conflict with the US declaration that it would provide air support to rebels in Syria. While the emphasis was on fighting extremism, adding that air strikes would be used against any forces hostile to the rebels has expanded the scope of the air strikes, making it possible to use them against Bashar-al-Assad’s forces. Russia has opposed the US policy because it violates international law, and may cause further escalation of the chaos in the disturbed West Asia. Russia has proposed a coalition of regional powers including Iraq, Syria and Turkey and anti-ISIS forces to fight terrorism. It also favours a UN supported framework for this purpose. The UN charter elaborates the role of the international body as a guarantor of international peace and security and empowers the Security Council to “determine the existence of any threat to the peace, breach of peace, or act of aggression,” to take “such action by air, sea, or land forces as may be necessary to maintain or restore international peace and security.” There are precedents in the recent past when the UN Security Council has adopted a resolution on the basis of a consensus to fight extremism. In October 2012 the UNSC passed resolution 2071, with the support of all the permanent members, including Russia and the US, to approve deployment of France-led international forces in Mali against extremist forces linked to Al Qaeda. However, the Security Council failed to evolve a consensus on fighting extremism in Syria. Due to geopolitical rivalries, numerous dialogues between the key players in Geneva and other places have failed to take shape. The conflict has witnessed the rapid rise of the ISIS and further destruction and loss of civilian life in the past four years. “We say that this position (air support to rebels) is a violation of international law and represents an obstacle on the road to forming a united front to fight terrorism, including Islamic State and al-Nusra Front,” Lavrov said. He also argued that the airstrikes would not be enough to root out the ISIS. There are instances that trained fighters have joined the ISIS. The survival of Assad may not be an indispensable contending factor for parties to the conflict. What is more important is the likely situation after the ouster of Assad. Syria lies in the fault line of the Shia-Sunni conflict. The Syrian crisis is more than the issue of regime change or sectarian clashes. The location of Syria, and its proximity to Israel, and its access to Mediterranean Sea, and its resources make it an ideal candidate for geopolitical rivalry in West Asia. Any attempt to force a resolution of the crisis, which has failed so far, would further complicate the situation. The question is how to evolve an agreeable framework that addresses the concerns of all parties including the authoritarian monarchies of the Gulf, Syria, Iraq, Iran, and Russia and the US. The Qatari foreign minister echoed Lavrov when he said, “Qatar and Russia agree that the solution to the Syrian crisis should be a political one accepted by the Syrian people.” It is perhaps the most crucial time that Russia’s proposal for the creation of a united front comprising the regional powers including Iraq and Syria and anti-IS forces taken seriously.